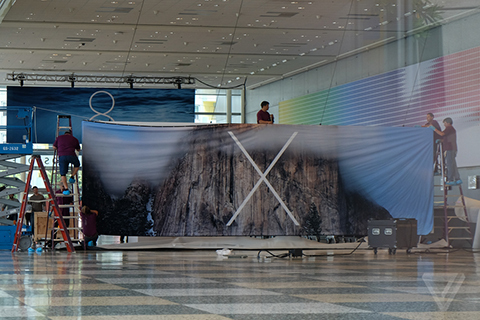 Ahead of Apple WWDC in the Moscone Center, Apple is preparing for the event by decorating the building. 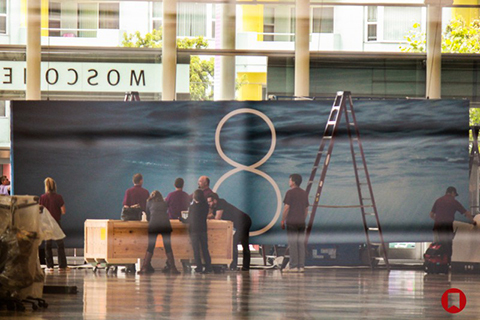 The above and below photos show the first banners teasing iOS 8 and OS X 10.10. The event will take place on Monday June 2 at 10 AM Pacific Time. 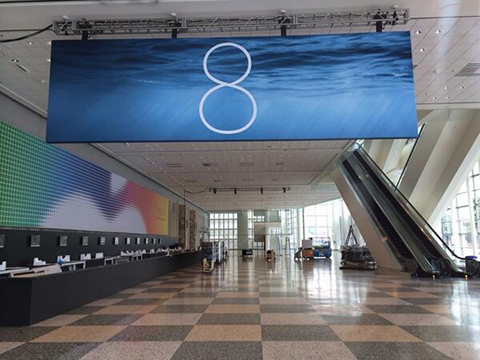 It is expected that iOS 8 will include several new features including a health-aggregating “Healthbook” app, new TextEdit and Preview apps, and possible improvements to both Siri and Maps. The interface will get a minor polish. OS X 10.10 is expected to feature a more drastic redesign, adopting a “flatter” look and taking on some iOS 7-style design elements.